Why not add TablesTest to your phone home screen. Then you can test yourself anytime anywhere. Not sure how to do this? Check out the videos below. There is a slightly different process for iPhone/iPad and Android Phones/Tablets. 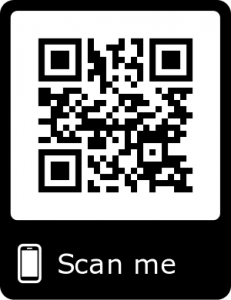 For a quick way to find the TablesTest website on your phone, scan the QR Code below.